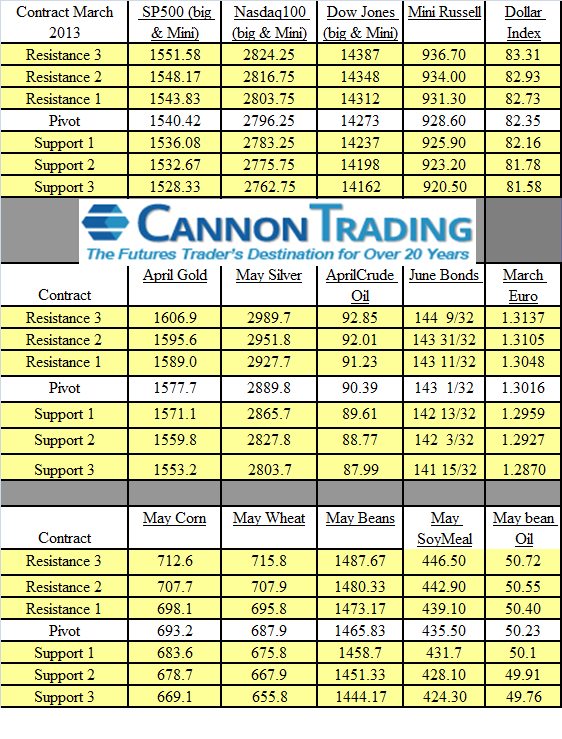 Starting Thursday, March 7, the June 2013 futures contracts will be the front month contracts. Please note that the month symbol for June is M; so for example the mini S&P contract symbol would be ESM3. It is recommended that all new positions be placed in the June 2013 contracts as of this Thursday. Volume in the March ’13 contracts will begin to drop off until its expiration on Friday March 15th. Please be aware of liquidity issues in the March ’13 pit-traded contracts. Expect sharply decreased liquidity beginning Thursday morning. Carefully consider whether you wish to place Market or Stop orders in these contracts after that time as the executing brokers in the March ’13 contracts of the “Big” / pit-traded indexes will not be “held” on ANY order and they will not take Cancel and Replace orders at all beginning Friday March 8th.